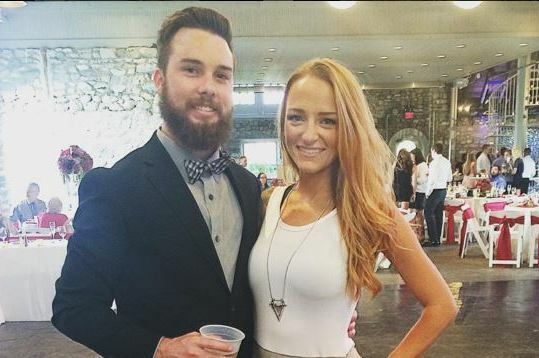 Teen Mom alum Maci Bookout just announced on Valentine’s Day that she was expecting a new addition, and while it will be a while before big brother Bentley and big sister Jayde welcome their newest playmate, the reality TV star has already picked out her son’s name. She told MTV News that she and fiancé Taylor McKinney have decided to call the little man Maverick Reed. Most people agonize for months over what they’ll name a new baby, and often the decision isn’t made until much closer to the due date, but while Bookout’s third pregnancy — her second with McKinney — was a surprise, what the name would be was no mystery. 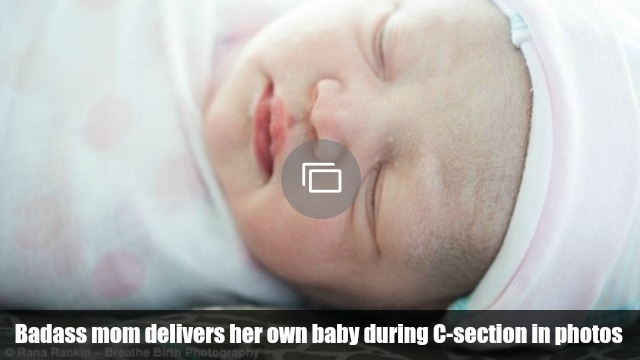 She’d already considered the name Maverick when she learned she was pregnant for the second time but decided to shelve it when she found out she was having a girl. Once she learned that her bump was a boy this time around, she jumped at the chance to use the name, tacking Reed on as a nod to a family name on both parents’ sides (and considering it means “redhead,” not a bad choice for the ginger mama!). She told MTV News that part of the reason for the pick was that she thought the name went better with baby Maverick’s siblings’ names, but Maverick has a particularly special place in American culture. Maverick as a word is used to describe an independent or free-spirited individual, and it actually started as a surname; non-conforming Texas cattle rancher Samuel Maverick refused to brand his cattle, and so the word came to describe someone who was non-conformist to the core. Since then, it’s signified the epitome of American individualism, particularly after another Maverick — Lieutenant Pete “Maverick Mitchell” — in Top Gun, which features Tom Cruise as an against-the-grain elite fighter pilot. The popularity of the movie could account for why the name Maverick skyrocketed in 1995 and then again in 2008: Maybe all of those ’80s kids that helped make Top Gun such a blockbuster were starting their families then. It certainly wouldn’t be unheard of, since people take baby name inspiration from favorite movies and books all the time. Think of names like Atticus, which has been fluctuating in popularity ever since Gregory Peck brought Harper Lee’s character to the big screen, or Katniss, which is still going strong now. Bastion and Jareth might still be pretty unique, but they, too, are a nod to some classic ’80s flicks. Nostalgia is always going to play a role in baby naming, whether it means paying homage to a film or character you admired or throwing it all the way back to the ’30s and naming your baby after Grandma. We don’t know if Bookout picked her son’s name because she has a special place in her heart for poor Goose, but we do know that once nostalgia names pick up steam, they continue to grow in popularity among the folks who don’t remember a time when “Take My Breath Away” was a chart-topper. Either way, we wish Bookout and her growing family all the best, and here’s hoping little Maverick lives up to his name as a non-conformist little toddler who just can’t get enough of veggies and using his inside voice.